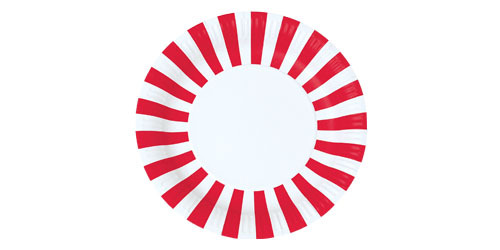 These gorgeous Paper eskimo Candy Cane Red Stripe plates will be a perfect match for your event styling. There are 12 plates per pack, and are 9 inch/23cm in diameter. Mix and match any of our party supplies to create the perfect event!